Samsung’s strategy to compete with Xiaomi and other Chinese brands in India seems to be launching phones front, left and center. While only time will tell if this strategy will work for the Korean giant but today they’ve announced yet another device under the Galaxy A series, which is their fourth in the last four months. 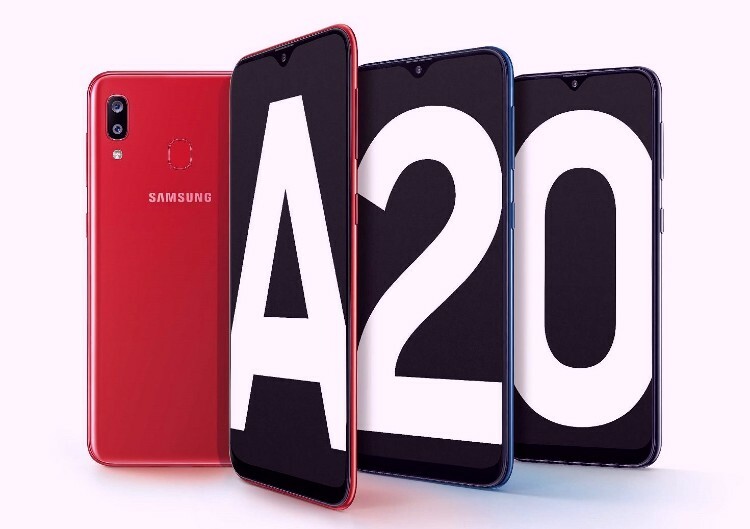 The Galaxy A20 is powered by Samsung’s own Exynos 7884 octa-core processor, 3GB RAM and runs Android Pie OS with the latest One UI. The affordable phone comes with a 6.4-inch Infinity-V Super AMOLED Display with HD+ (1560×720) resolution support, dual-rear cameras (13MP f/1.9 + 5MP f/2.2), 8MP f/2.0 front camera, fingerprint sensor and 32GB internal storage that can be expanded to up to 512GB via a memory expansion slot. Moreover, the 4000mAh battery on the Galaxy A20 supports 15W fast charging. The phone will sell in red, blue and black from 8th of this month for Rs. 12,490.